Wellington, FL - March 27, 2011 - Week eleven of the 2011 FTI Winter Equestrian Festival concluded on Sunday afternoon with a victory for Mario Deslauriers (USA) and Cella in the $30,000 Suncast® 1.50m Championship Jumper Series Classic Finale. Deslauriers and Cella, owned by Jane F. Clark, were the only pair to master the course with double clear rounds for the win. Kevin Babington (IRL) rode his own Mark Q to just two time faults in the first round to grab the fourth place prize. Bond also earned fifth place riding Little Valley Farm's Apache to the fastest four-fault time in round one. Cella is a grey nine-year-old Belgian Warmblood mare by Cento x Chin Chin. Deslauriers spoke about his winning mount after the class, stating, "Cella is a brand new horse for us that we just got at the beginning of circuit. She was clear in the WEF Challenge with one time fault on Thursday and today she jumped gorgeous in the Suncast class. It was a very hard course, but she rode beautifully. I am just getting to know her better and better, and I think that she is going to be a great horse." "Going into the jump-off I wanted to leave the jumps up and at the same time, I need to get to know her a little more," added Deslauriers. "She has really never gone fast in her whole life. The guy that owned her before really took his time with her, so she needs to learn to go for speed and today was a good time to practice a little bit. There were only three clear and at the worst I was going to be third, but you always want to go in there and try to win, and I am very happy with her. 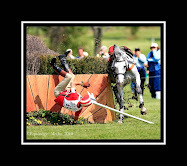 She jumped even better in the jump-off." 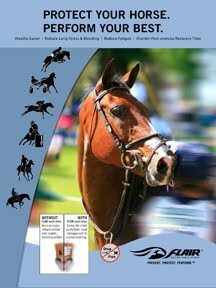 Today's class was the final in an eleven class series that has been featured throughout the 2011 WEF circuit thanks to the generous sponsorship of Suncast®. 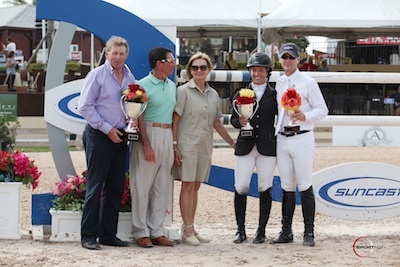 In addition to the weekly prizes, riders were in competition for a $50,000 bonus for the overall series standings. Great Britain's Nick Skelton and Big Star earned the top bonus, receiving a check for $25,000. Ashlee Bond and Chivas Z finished in second overall to earn $15,000, and McLain Ward (USA) on Domino received the third place bonus of $10,000. Earlier in the day the International Arena hosted the junior and amateur-owner riders in their classics for week eleven. Christina Kelly and Diamond Edge Farm's Camirage won the $10,000 EquiFit High Junior Jumper Classic to begin the morning. This week's win marked Kelly's seventh High Classic win for the circuit and her third win in the class riding Camirage. 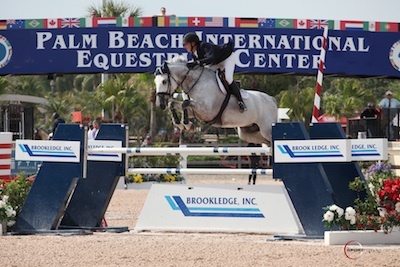 Kelly also won several Medium Junior Jumper classics in an astounding performance in the FTI WEF circuit. Later in the morning Santiago Nunez Riva rode Jason de Carene to victory in the $10,000 Sentient Jet Low Amateur-Owner Jumper Classic. By wearing the SSG 'Digital' Gloves, Riva won a $4,000 bonus, as the bonus money had not been won for three weeks. 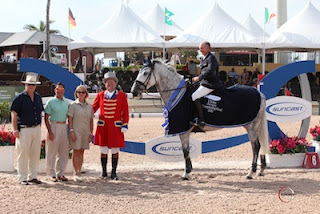 Today's competition concluded week eleven of the 2011 FTI Winter Equestrian Festival. The circuit will conclude with its twelfth and final week of competition running Wednesday, March 30 through Sunday, April 3. Week 12 will feature the $50,000 USHJA International Hunter Derby with its first round of competition on Friday afternoon and its final round on Saturday evening under the lights in the International Arena as the final event of "Saturday Night Lights." Sunday's competition will feature the Finals for the Young Jumper divisions. The schedule will include the $10,000 Adequan Young Jumper 5-Year-Old Final, the $15,000 Adequan Young Jumper 6-Year-Old Final, the $20,000 Adequan Young Jumper 7-Year-Old Final, and the $20,000 Adequan Young Jumper 8-Year-Old Final. 3 CHIVAS Z ASHLEE BOND LITTLE VALLEY FARM: 0/RET.